A fuss-free, powerful sewing machine for high expectations and modest budgets. 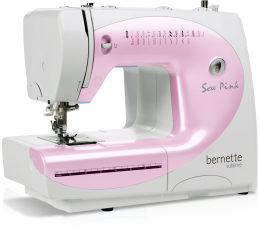 Ideal for beginners: the bernette Sew Pink with with convenient drop-in bobbin boasts infinitely variable stitch width up to 5mm. 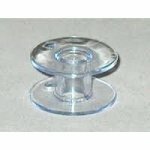 With 13 stitch patterns, 10 practical stitches, one buttonhole, and two decorative stitches.